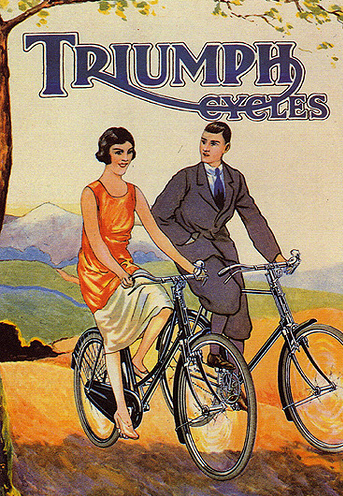 After the end of the first World War – 11th November, 1918 – cycle production resumed, with companies introducing their postwar models in 1919. 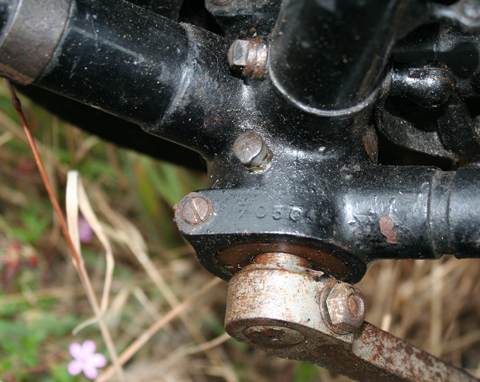 As you can see from this Triumph Roadster, the design remained essentially the same as pre-war. 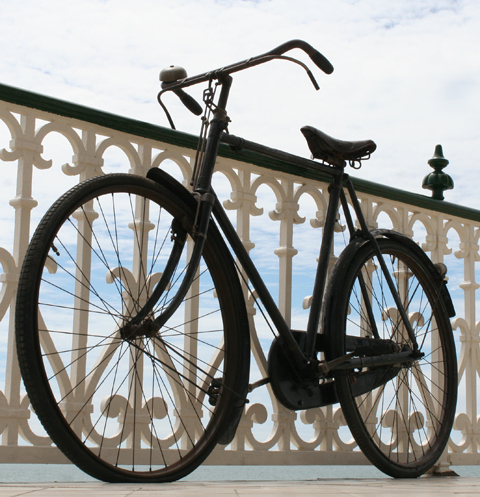 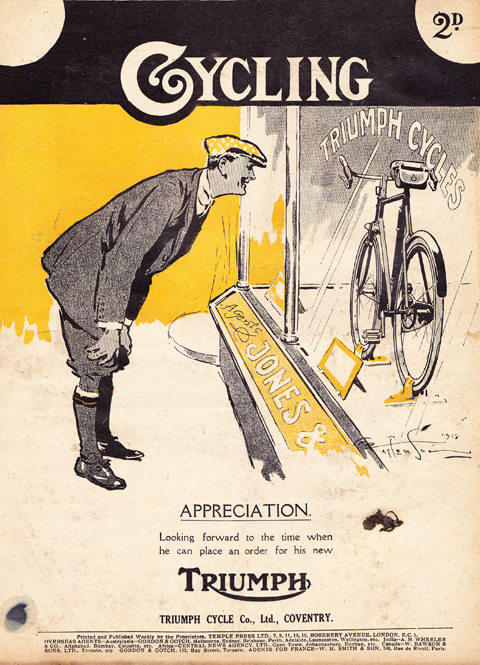 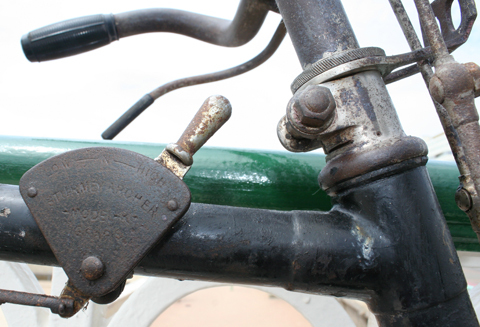 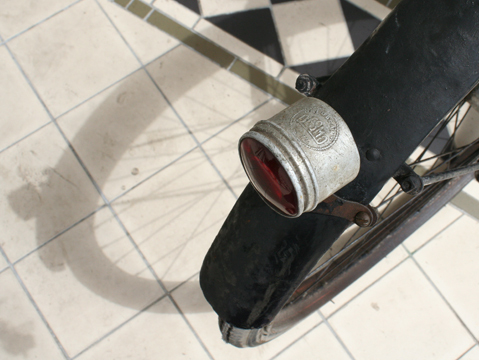 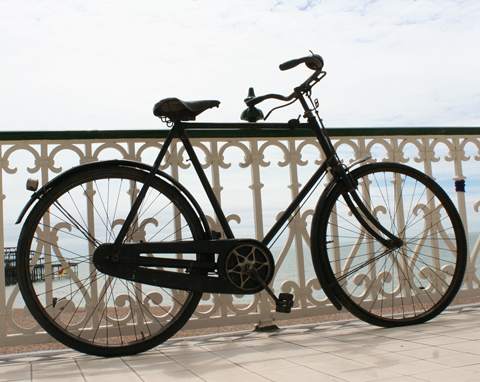 Roller Levers were already an option (see the 1914 catalogue below). 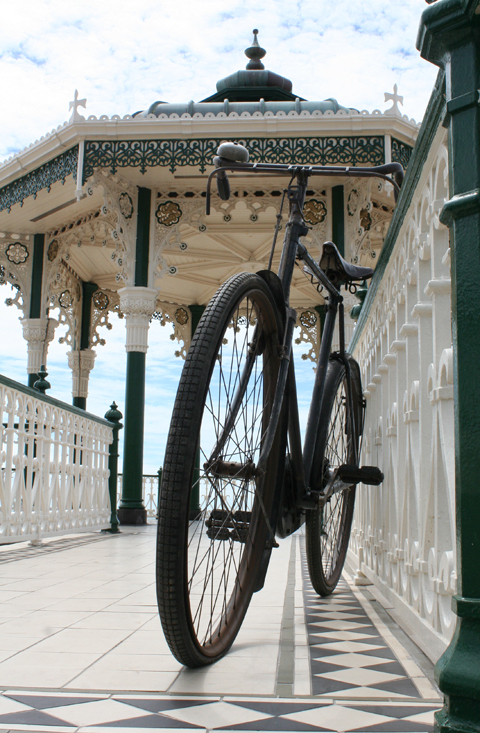 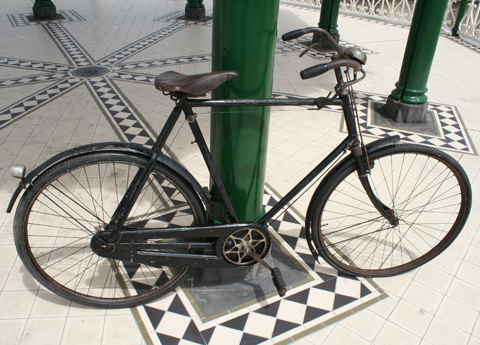 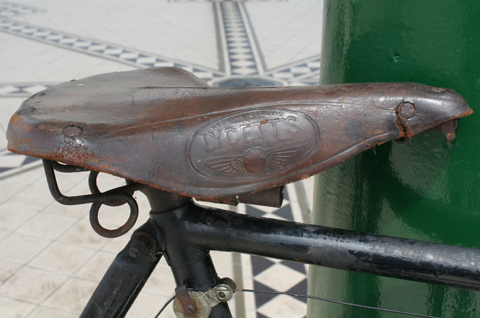 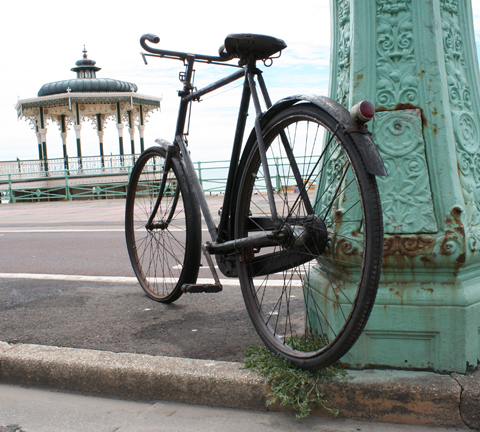 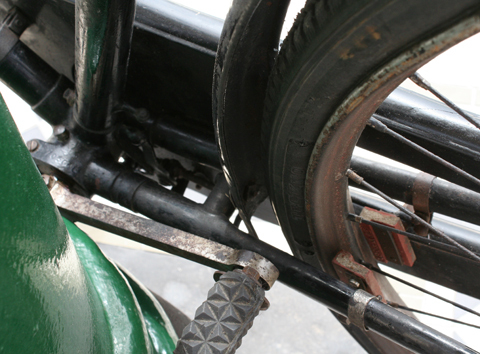 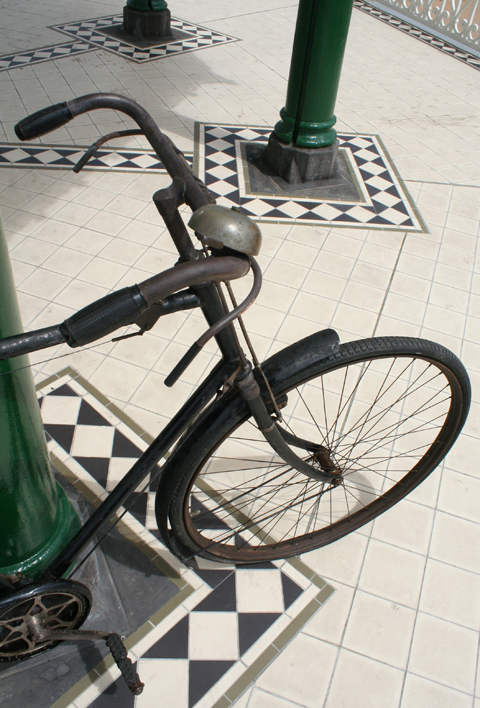 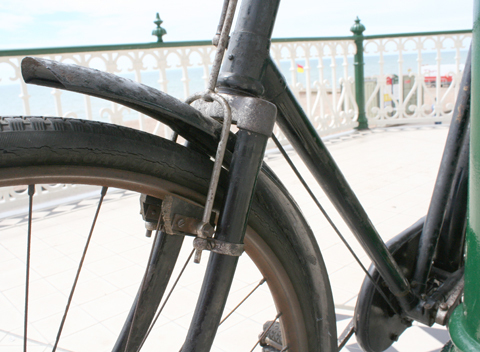 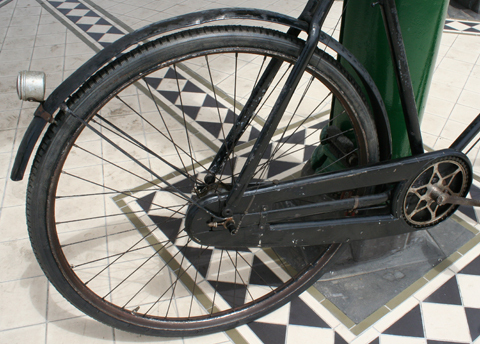 The main difference is mudguards: the pre-war Triumph mudguards had a central ridge unique to Triumph, whereas the mudguards on this post-war model have a rounded profile. 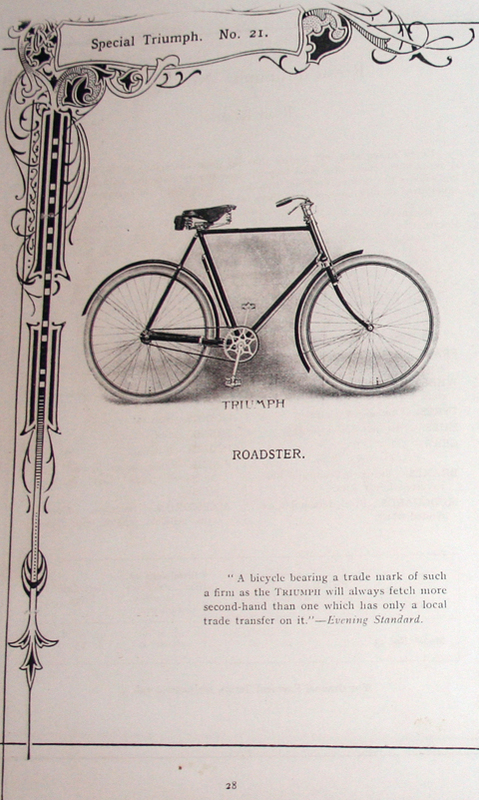 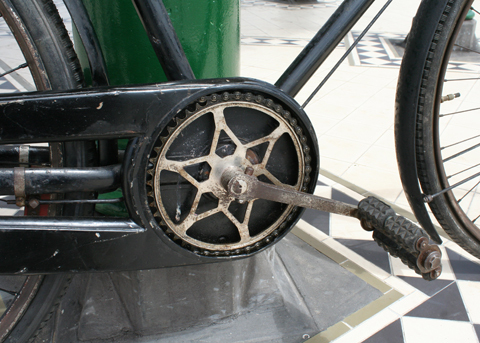 Compare the chaincase with the illustration of the 1914 Special Triumph, below. 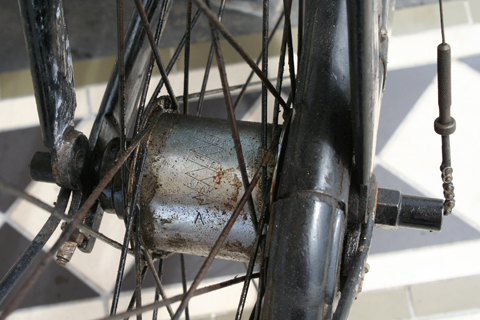 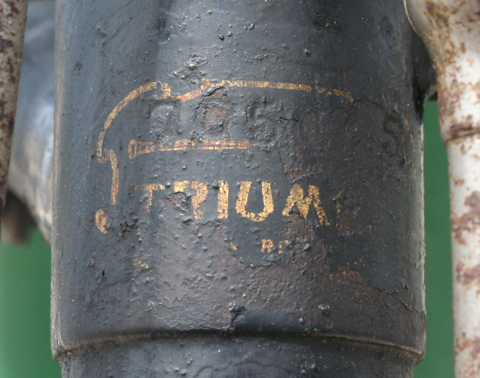 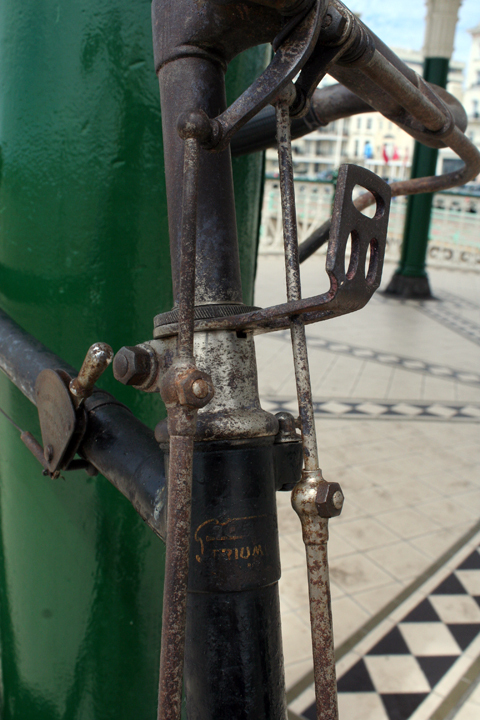 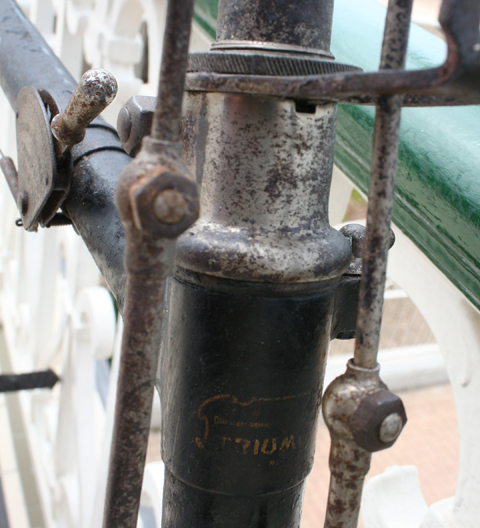 The frame number is stamped in two locations: on the headstock at the top of the Triumph logo, and also on the near side top of the bottom bracket. 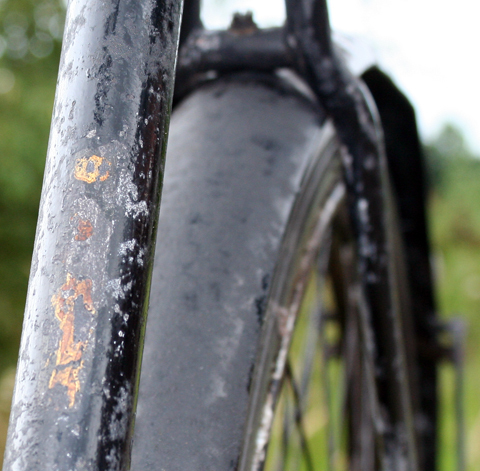 The Triumph transfer on the seat tube has almost completely faded. 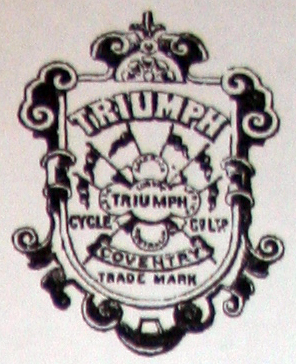 Here’s a Triumph logo for comparison.